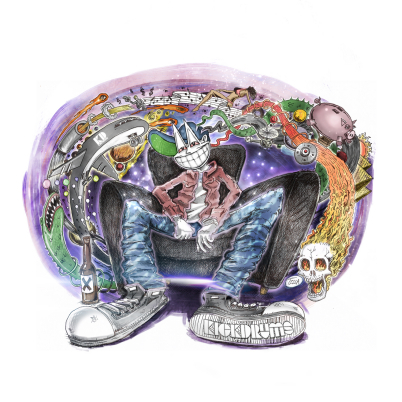 The Kickdrums x Dee Goodz - "Higher"
Over the last few months, Brooklyn based singer/producer Alex Fitts aka The Kickdrums has been gaining some serious credibility in music. Yesterday, he released a new song called "Higher," the first song off the Higher EP, which is a collaborative project with Dee Goodz, a Tennessee rapper/producer. The balance of hip hop, guitars, and synths make this song worthy of multiple listens and will be a project worth checking out. Listen and download below.